Cape Aerial Telepresence™ is the leading cloud platform for drone telepresence and data management. Cape Aerial Telepresence™ is a professional software platform that provides the ability to effectively control a flying long range drone camera anywhere in the world in real-time. Cape Aerial Telepresence™ makes drone use and flight easy for professional experts across a number of industries. Our platform unlocks the full use potential of commercial drones by removing the traditional complexities such as needing an onsite technical expert. By focusing on automated drone telepresence, we remove those limitations offering an easy to use, safe, and cost-effective platform that allows for drones to be remotely operated. 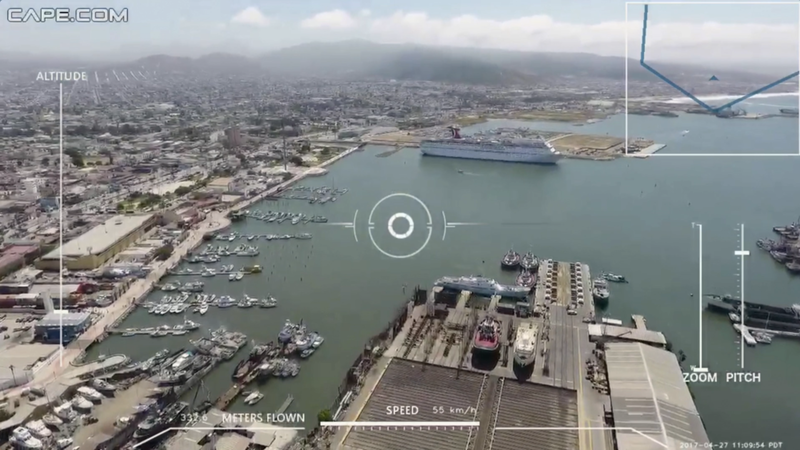 Cape provides remote, real time aerial visualization for experts. See how commercial drones can be used by your business and industry today. A force-multiplier for fire departments, public safety, and private security. Enables experts in their field to inspect assets in new ways and in real-time. Enhance productivity and product quality in the fields.